I’ll be speaking at a great event coming up in June, and again in September, regarding the Canadian Anti-spam Legislation. Come out and join us while learning how the new rules targeting spam change emarketing best practices. 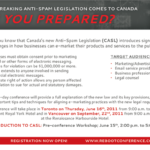 Join Canadian and US Legal and Business Experts for a One-Day Conference on Canada’s New Anti-Spam Law (CASL) and What It Means for You, Your Clients, Customers and Business. Thursday, June 16, 9:00am to 5:00pm, Royal York Hotel, Toronto, ON. Thursday, September 22, 9:00am to 5:00pm, Renaissance Harbourside Hotel, Vancouver, BC. 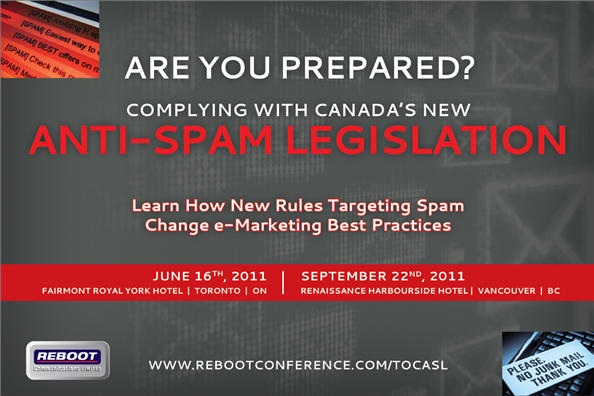 Canada’s Anti-Spam Legislation (CASL) was passed by the Canadian federal government on December 15, 2010. It introduces significant rule changes for businesses in how they market their products or services to Canadian customers or clients using direct electronic mail and messaging. What are the big rule changes? The biggest change is that CASL requires businesses to obtain consent before marketing to customers and clients by direct email or text. 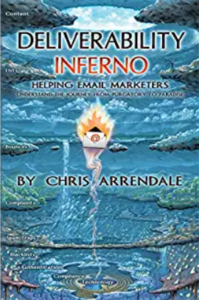 It also establishes penalties of, and over, $1,000,000 for violations; provides a private right of action for individuals and companies to obtain actual and statutory damages for violations; and extends liability for breaches to anyone involved in sending commercial electronic messages, including email service providers, e-marketers and officers and board members of organizations using e-marketing to promote their products or services. CASL also includes anti-phishing and anti-spyware provisions. When does CASL take effect? CASL is expected to come into effect in late 2011, or early 2012. There are three oversight bodies: the Canadian Radio-television and Telecommunications Commission (CRTC), the Competition Bureau, and the Office of the Privacy Commissioner of Canada. CASL also provides for a private right of action. Come to the conference, learn how the new law works and hear about the practical steps you can take to review and revise your current e-marketing practices. Am I the right person to attend this event? If you work in the online marketing field your are probably part of the target audience that needs to know about the rules under this new law. We will be hosting sessions on Email, Social and Mobile Marketing. 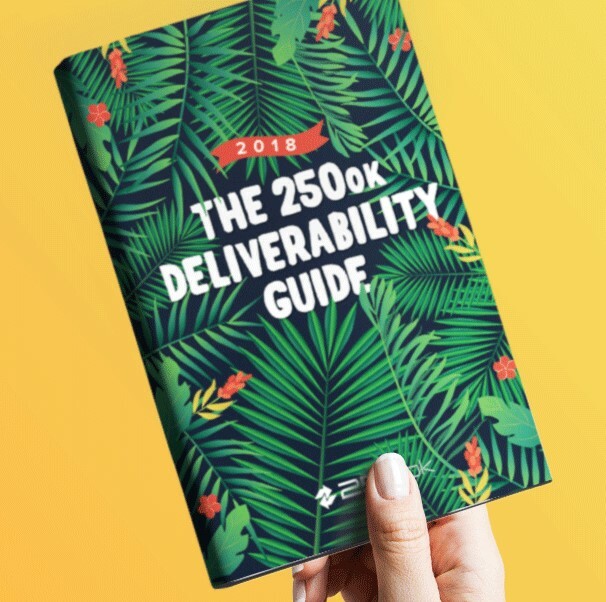 This will also be good for Email Service Providers and Agencies to attend as your clients will expect you to answer questions on this new law – and they may rely on you for guidance. For more information and to register, go to the Reboot conference website.